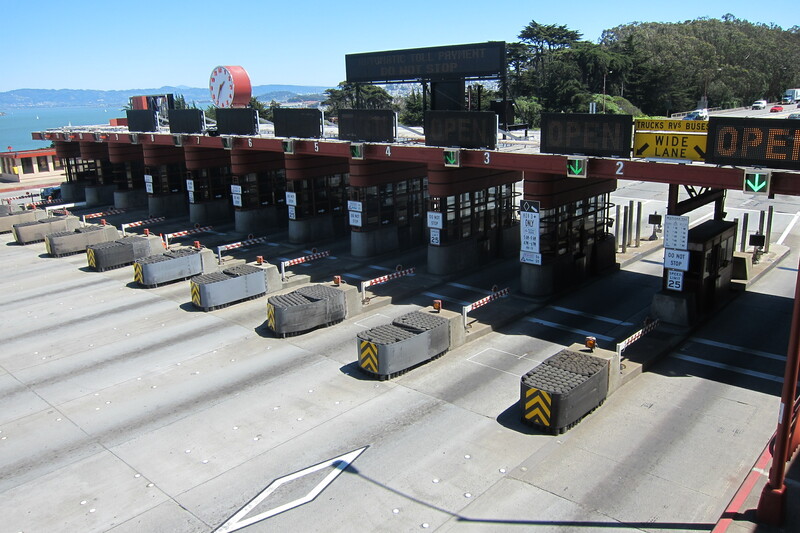 The Golden Gate Bridge was the first bridge in the nation to implement All-Electronic Toll collection. In preparation for the conversion, W-Trans worked with the Golden Gate Bridge, Highway & Transit District (GGBH&TD) on an accelerated schedule to establish an appropriate speed limit for the toll plaza as well as to develop recommendations for restriping the egress lanes to provide a consistent pattern of merges from each pair of lanes. The recommended changes were implemented as part of the conversion to the new toll collection system.